Ridgetop Group specializes in combining sensors, test and measurement techniques with proprietary data analytics in systems for semiconductor test and qualification, and Hi-Rel applications estimating remaining useful life in avionics. This predictive modeling technique has become an industry standard known as Prognostics as well as our main focus at RGI for nearly two decades. At ITC 2017 Ridgetop Group will be demonstrating the Prochek family of parametric testers, a compact, flexible test platform for both conventional and rad-hard characterization, manufacturing test, incoming inspection test, or Spice model generation. Measuring real-time thresholds then analyzing with the proprietary algorithms of ProChek is the data analytics part of prognostics as well as a first step in machine learning. Our products use deterministic based models, and then use reasoners to predict semiconductor failure. 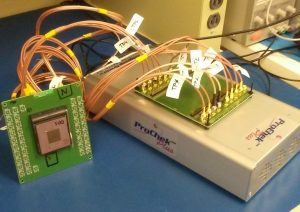 ProChek Plus™ is a flexible and dedicated semiconductor qualification and reliability characterization system that is an effective tool for both conventional and rad-hard characterization. This innovative low-cost parametric test system can rapidly characterize intrinsic process reliability and monitor process quality. Applications include failure and stress testing analysis, manufacturing test for popular I/F silicon equipment and temperature analysis using a test coupon. 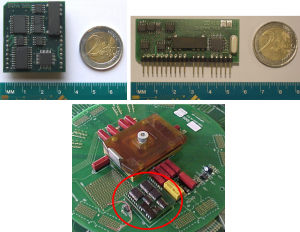 SJ BIST is an effective tool to detect faulty solder joints in 2.5D IC packages, die-crack detection and cabling. 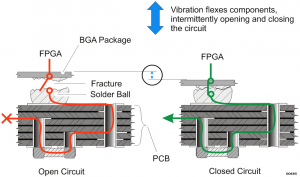 Proven over years of applications in harsh environments, SJ BIST offers a unique method of providing fault isolation. SJ BIST can be used to enhance test equipment and test procedures serving initial board, cable and system qualifications but also servers to monitor systems and cables throughout their usage time. SJ BIST enables early detection and identification of a device or assembly likely to experience a malfunction. To do so, the prognostic needs have to be programmed/designed-in into the host subject to life-time monitoring and uses dedicated interconnects/paths that are continuously monitored and serve as canaries. Serving this purpose, the SJ BIST function is made available as a synthesizable core expressed in Hardware Definition Languages (HDLs) such as Verilog or VHDL, serving a quick and easy implementation inside any programmable or hard-coded IC. Using a set of advanced anomaly detection algorithms, NightHawk provides an interactive test development system that will reduce, or eliminate, no fault founds (NFFs) on critical systems. 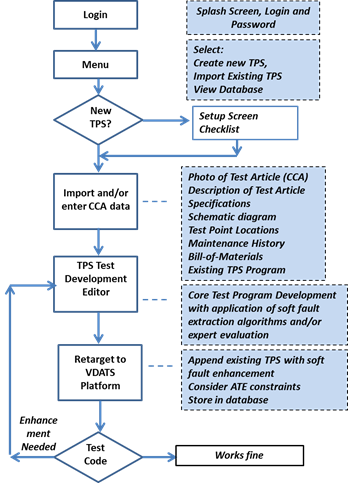 This new application provides enhancements to test program set (TPS) code to detect soft faults on ‘Bad Actor’ Circuit Card Assemblies (CCAs) and other test articles, which remain difficult to isolate using conventional TPS methods. NightHawk offers the ability to minimize maintenance time by quickly identifying the root cause of difficult-to-find faults in CAAs and modules. This capability does not exist with conventional suppliers, making Ridgetop’s approach at leveraging its background in advanced anomaly detection algorithms to be the leading choice in next generation NFF isolation and diagnosis. Take the opportunity at ITC 2017 to learn about the NightHawk capabilities and how our advanced algorithmic methodologies can reduce lifetime costs that traditional TPS are unable. In addition, visit our website and learn more about NightHawk. This handheld short and disconnect identifier is a fast, reliable, high performance cable and power system tester. As the integrity of power transmission through main terminals, cables and power supplies is crucial in power systems, this tool effectively tests and isolates faults in power supplies and cabling. 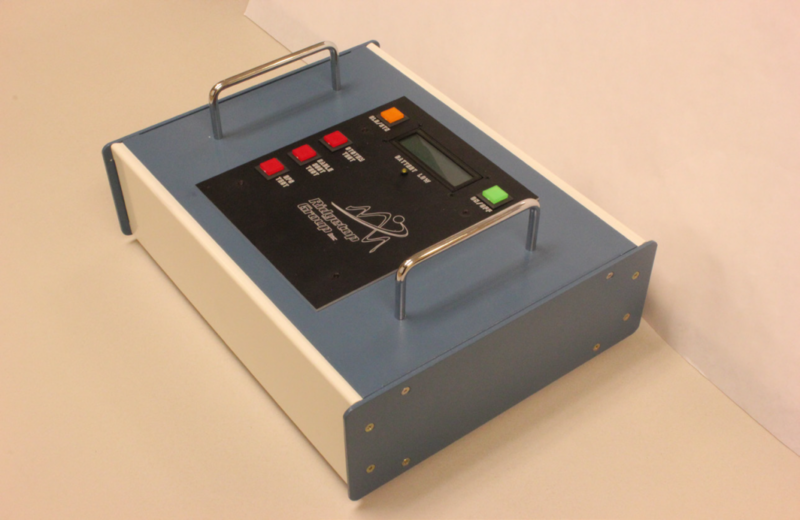 Originally developed for use in unique aircraft applications, the portable handheld CPT1000 device provides signal monitoring, cable testing, and stimulus-and-response testing. The CPT1000 has two 37-pin cable ports for testing different types of power supplies and cables, and uses a rechargeable battery for portability. Witness the versatility of the CPT1000 at booth 219 where our VP of Worldwide Operations, Craig Wentzel, and Chief Technology Officer, Dr. Hans Manhaeve, will be demonstrating CPT1000. And if you are unable to visit us in person, make sure to come to our product page, where you can learn more about CPT1000 as well all of our other advanced diagnostic and prognostic solutions. Ridgetop Europe’s Q-Star Test static/quiescent current measurement instruments (also referred to as Iddq or Issq modules) serve a wide range of current measurement applications such as: Standard and advanced Iddq and/or Issq tests; standby current measurements; power-down current measurements; bias current measurements; average current measurements; analog DC and low frequency current measurements. In addition, Ridgetop Europe’s Q-Star Test dynamic current measurement instruments (also referred to as Iddt modules) serve a wide range of active current measurement applications, including: Dynamic and transient (Iddt) current tests; power profiling of circuits and systems; active current consumption; and e-fuse programming validation. Ridgetop Group offers a range of tools for semiconductor test and characterization in addition to the ProCheck family of parametric testers, including Q-Star Test™ Current Measurement, Sentinel Silicon Prognostic Cells, the InstaCell IP Library of Analog/Mixed Signal design blocks and the SJ BIST™ Interconnect Monitors. This is what we call the “Five-level Model Progression of Prognostic Solutions” from die level to system level. We provide consulting services, training services and product solutions for semiconductor, transportation, energy and aerospace applications. Ridgetop Group is the leader of advanced prognostic and diagnostic sensoring capabilities and continues to find the top by and see us at booth 219. This entry was posted in Prognostics and tagged procheck, prognostics, test on October 23, 2017 by Teresa Hardy.